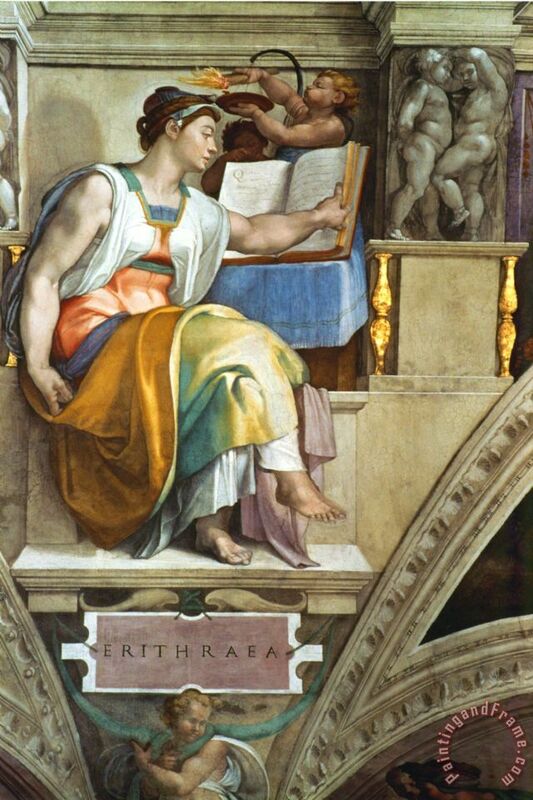 The Delphic, Erythraean and Cumaean Sibyls on the Sistine Chapel Ceiling……………….. The Libyan and Persian Sibyls…………………. 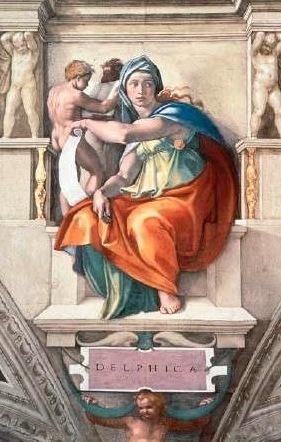 The 5 Sibyls (above) were painted on the Sistine Chapel ceiling by Michelangelo (1508 – 1512), but the Sibyls predate Christianity as well as the Islamic and Jewish religions. The Sibyls were older woman, who were considered both sages and oracles. They dispensed good counsel and prophecies. 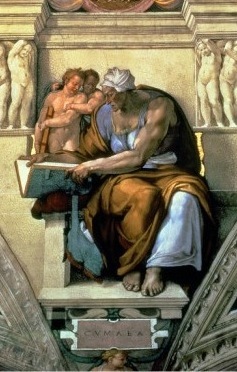 The best-known Sibyl presided over the Temple of Apollo at Delphi in Greece from 650 BC. The words ‘Know Thyself’ were inscribed in the forecourt of this temple. Of all the proverbs and sayings passed down the eons, this is one of the most profound. In 560 BC, the Sibyls of Delphi and Phoebes told King Coresus of Lydia that if he attacked Medes, he would destroy a great empire. He read this as a good omen. The Sybils prophecy proved correct. King Coresus destroyed a great empire. His own. 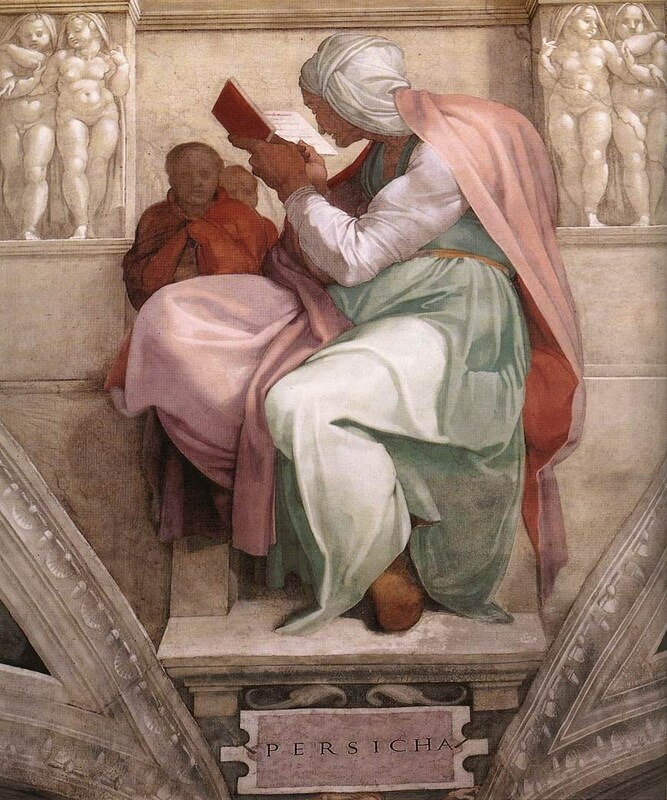 The 5 Sibyls appear on the Sistine Chapel ceiling along with 7 prophets as, at least, one Sybil foretold Christianity. What happened to the Sibyls? Their images appeared in frescoes, stained-glass windows and carved in stone in Italian churches and cathedrals throughout the High Renaissance (1490 – 1550) and then they just disappeared. The prophets were acknowledged in the Old Testament and are, therefore, known today especially Jonah, who lived in a whale (or, according to one pop song ‘He made his home in a fishes ab-domin’) and Daniel, who walked in the lion’s den. Some scholars say their prophecies were recorded haphazardly. Others argue that Jewish and Christian scribes rewrote the prophecies to promote their own religions. 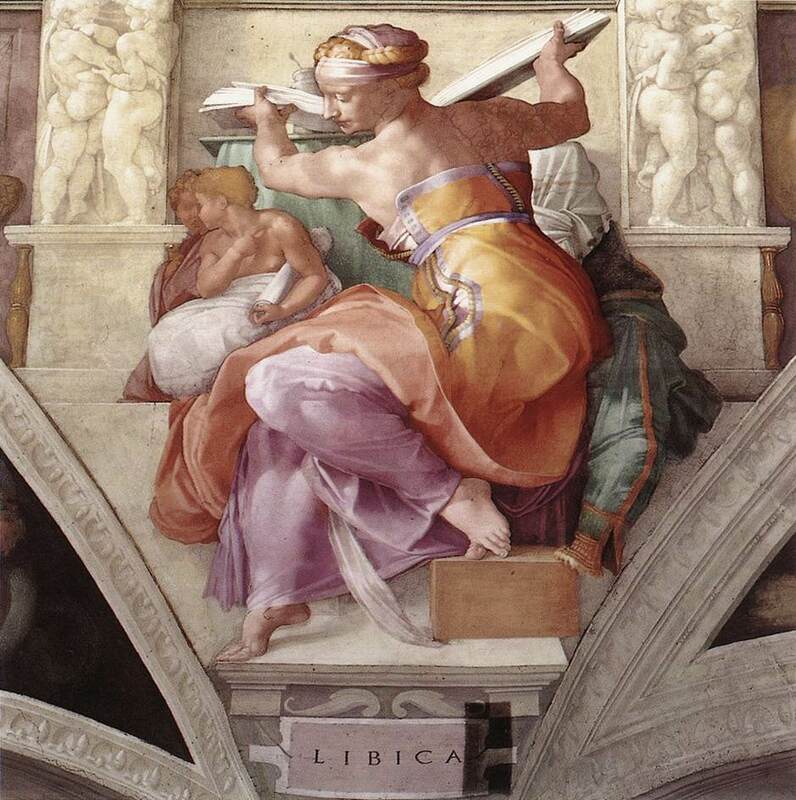 Others, yet again, claim that The Sibyl occupied the office of the High Priestess and, as such, was not known as an individual. Whatever the case, older women were once revered as wise women of foresight and now they are not. 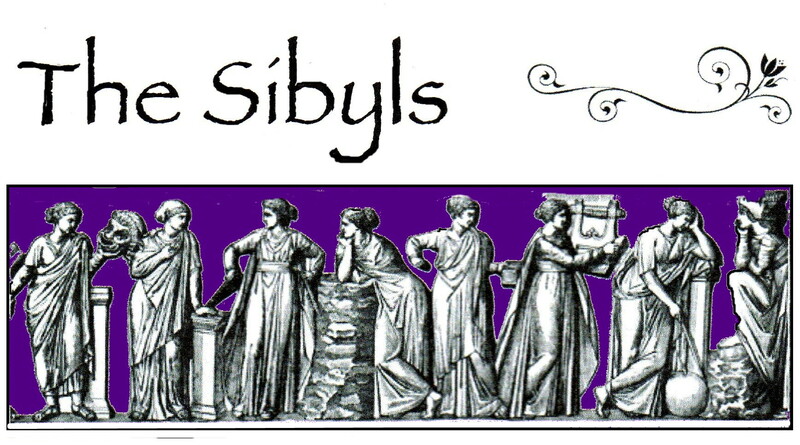 It is the intention of this blog to call on all The Sibyls, of all ages, to revive this concept.